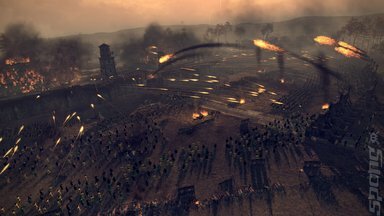 There have been eight Total War games released to date. From the first, Total War: Shogun in 2000, all have had the same structure of an overall world map in which players plot their ambitions of conquest and then each battle is micromanaged and played out in a similar vein to tabletop battle games. Only, rather than moving icons and blocks that represent the units under the player's command, they actually run, charge, fight and flee all before the player's very eyes. It is this two-stage pacing of epic strategy mixed with field command has given the franchise such very long legs. At EGX 2014 Creative Assembly decided to reveal the ninth game in the Total War series by announcing Total War: Attila. This game is set during the events of Attila the Hun's rampage across Asia and Eastern Europe, which only lasted for 19 years in the mid 5th Century. He ruled over an empire that extended from the Ural River in the East to the Rhine in the West. 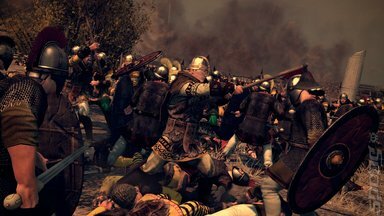 Total War: Attila concerns that period of history where Western Europe feared it would be wiped out by Attila. SPOnG: Total War: Attila is set during the brief period in the 5th Century that Attila the Hun threatened the continued existence of Western civilisation at that time. Why choose him as a subject matter of a Total War title? Janos Gaspar (JG): As a person he is very fascinating. He's one of the most important people in history and is of the same calibre as Alexander and Napoleon. He's one of the great generals of history who made an empire from almost nothing within a lifetime. His contemporaries respected him for his abilities but feared him also. SPOnG: Attila does come from that very period of history that is either within or in close proximity to the Dark Ages and with it comes disease and famine as the Roman Empire receded, and with it a lot of the technology they used to prevent such maladies. I understand Total War: Attila features this? JG: Yes, disease is very important. In this era there were centuries of famine and disease as the Roman Empire slowly collapsed. Even then it wasn't totally broken down thanks to the continued presence of the Holy Roman Empire. At this time it was possible to fight against disease, but if it was left to fester then illnesses such as small-pox, measles, typhoid and cholera spread and were all different in their methods of infection, and their duration was affected by this. The spreading of these diseases occurred as armies moved and also laid sieges to cities. This opens up an early form of biological warfare where disease ridden animal corpses would be thrown into cities to spread their pestilence. 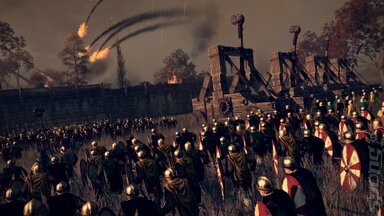 SPOnG: The family tree, a feature in previous Total War games but not Total War: Rome II, makes a return in Total War: Attila. Why is this? JG: Total War: Rome II was an epic grand strategy that took place over multiple hundreds of years on a very large scale. 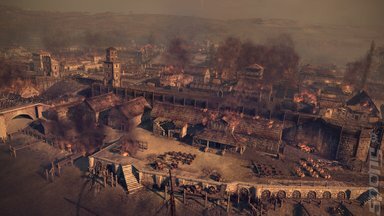 With Total War: Attila we can have a more finite time scale and with that scale, these interpersonal decisions within the family is more important, hence the return of the family tree.